Explore all the tourist spot on the friendship national highway. Visit Lhasa and explore the daily life of Tibetans in the Lhasa city. 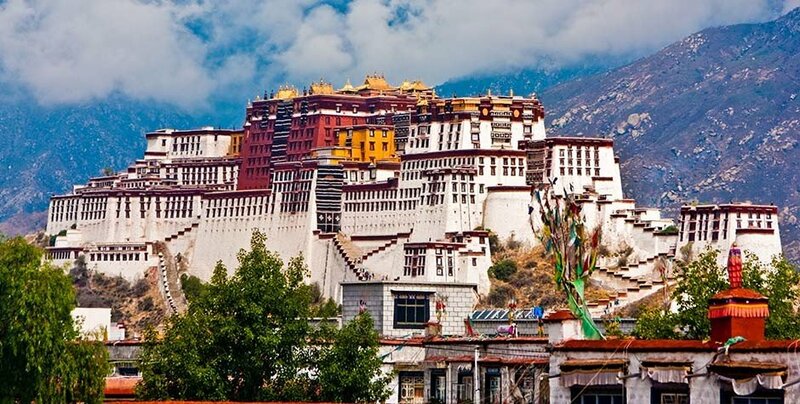 Explore the various architecture marvels of Tibet. Drive along with the Yarlung Tsangpo river and Yamdrok Lake. Eat different Tibetan fast food with your Tibetan friend. Drive towards the gigantic Everest and see the sunshine on the Everest. 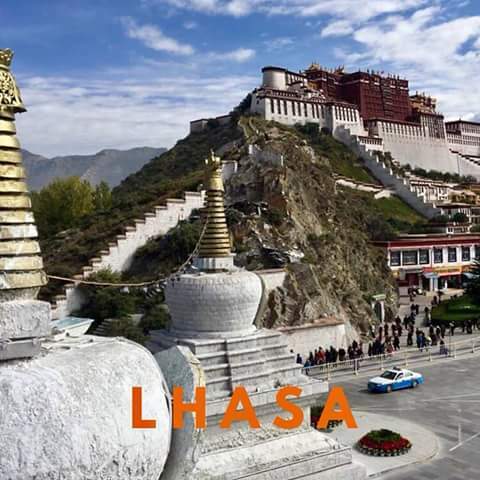 In this tour, you spend some days in Lhasa. Where you will visit all the culture center and monastery in Lhasa including Potala palace, Jokhang Temple, Norbulingka (the Summer palace), Sera monastery, Drepung Monastery, Nechung monastery, Ganden monastery. You will then drive on friendship highway towards Nepal. On this way, you will visit Gyantse town, Shigatse city, and Sakya monastery. Then you will visit the Everest base camp. At the Everest base camp, you will visit spent a night in the tent guest house near Rongbuk Monastery. After Everest base camp, you will then drive back to Lhasa for the flight or train to your destination. Day 2 - Lhasa sightseeing. Day 3 - Lhasa sightseeing. •	We will welcome you at the Airport or The Lhasa train station. Then you will be escorted to your hotel. It always advises the travelers to take a good rest for proper acclimatization. please do not any activities which would lead you to dehydrate, like taking a bath. And avoid hard work for the first day. Many travelers prefer to take a nap. by the evening, I will come to meet you at the hotels and discuss the itinerary and other stuff. If time let we will have a dinner at Tibetan restaurant. Visit Jokhang Temple and Sera monastery In the morning after having your breakfast your guide will meet you at the hotel. Then you will first go to the Jokhang Temple, the holiest temple in Tibetan Buddhism. Since you hotel is in the Tibetan quarter of Lhasa city, you will walk to the Jokhang Temple. After visiting the Temple you can some time to explore the Old Lhasa city on your own for a couple of hours. The guide will fix you a time and place to visit. In the afternoon, you will visit the Sera monastery. This is a most well-preserved monastery in Tibet. The monastery you can sit in the courtyard where monks will be debating on Buddhist philosophy. you can stay there for sometimes. this is a very good opportunity for many travelers to take a picture of monks debate. You can tell your guide to give you some free times to explore the monastery on your own if you would like to live in peace for sometimes. Visit Potala palace, Norbulingka (the Summer palace), and Drepung Monastery, Nechung monastery (There are nearby) In the morning, you will visit the grand Potala palace. Your guide will fix and time as per the ticket timing. please do not bring any drinking water or any liquid to drink. you will be asked to either drink it or throw it at the checkpoint. Plus please do not take a picture inside of the palace is restrict. there is a time-limited of two hours to stay inside the palace to fit in all those travelers in limited time and state of vulnerability of century old palace against thousands of visitor alike. you guide might hurry you. But if you would like to see something or spend a few moment in specific place please let know her. After the visit is over you will be descending on the back side of the palace. I always take my group to take a rest and have a tea with locals in the tea shop in the garden. many travelers like it. Yet prepare to have a load of people focusing on you. its new to them, if you don’t look Asian. but a smile and cheerful attitude would do the cure and would make it a memorable time. in the garden, there is a small island in the pool. the temple is dedicated to the King of Nagas, living in our world yet not visible to our eyes. you might want to visit it. If you are a family traveling with children I would suggest you rent a paddling boat and paddle in the pool. after spending few times in the garden, then I would suggest you go to Norbulingka.There is Tibetan restaurant near the Norbulingka which serves a very good Tibetan food. you will then visit Norbulingka palace. please buy a bottle of water before entering the gate. It is a not a single one building palace. it’s more like a resort with one palace for two Dalai Lamas. After the Norbulingka Palace, your guide will ask you if you still have the visit Drepung Monastery and Nechung monastery. If you do, then you can visit the Drepung monastery and Nechung monastery. Nechung finds at the foothill of Drepung monastery. in total, this two monastery would take about two hours. beware that there is a quite a lots of high staircase you have to climb up to. It is advised to start the journey little earlier in the morning. So in most of the cases, we leave Lhasa at 7 in the morning after having breakfast at your hotel. by 11:00 Am you will reach the Kampa-la pass (4700 m) . The car will stop here for some time of the beautiful view of Yamdrok Lake below the pass and the mighty mount Mount Nojin Kangtsang (7191 meters). After sometimes at the pass for the picture, we will then drive down to the Lake. It is about a 15 minutes drive and we will descend about 700 meters to the shore. We will stop at the shore and you will have some times to enjoy the beautiful lake from its shore. After the Lake, we will continue to drive to the Nangartse town for lunch. From Yamdrok lake to Nangartse is 50 km and we will drive along the shore until we divert to the Town. If you are traveling during the winter you can see lots of wild birds on this road. It is advised to bring a binocular if you are a bird lover. Once when we reach the town we will stop here for the lunch and after the lunch, you can explore this little Tibetan town for sometimes. You will then continue to Gyantse town. You will reach at the Gyantse town about the 3:00 pm. We will then check into our hotel for the night and then we will continue to visit the Gyantse monastery. Visiting the monastery would take about one and half hours. If you still have some energy, we can visit the Gyantse fort. You will start your journey at about 9:00 am. Once when you drive out of the Gyantse town, we will stop at photography spot outside the town. From there you can see the entire town of Gyantse including its monastery, stupa, and the fort. It is one of my favorite place in Tibet to take a picture. From Gyantse, we will first go to Shalu monastery. Many travel and tour operator in Tibet skips in their itinerary. But to me, it is a must place to visit. The painting inside the monastery is very different. Those are the original Newari style paintings. After Shalu Monastery, we will continue to Shigatse. On arrival to Shigatse, we will first visit the Tashi Lhunpo monastery. Built by the first Dalai lama and official residence of Panchen lama. Then we will drive to the hotel and rest of the day is free for you and the group members. But I will have to go to apply for the permit for Everest base camp. We will start our day little earlier today to have more time Sakya monastery. We will drive on friendship road. From Tibetan town of Lhatse, we will take a detour to Sakya monastery. 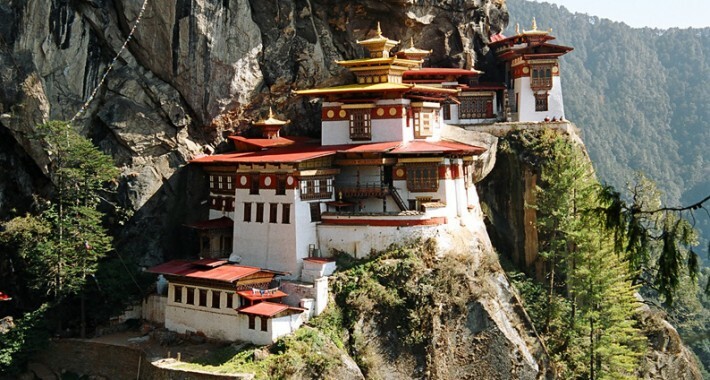 The monastery is the main principle monastery of the Sakyapa school of Tibetan Buddhism. The monastery looks like a medieval fort. This architecture and painting of the Sakya monastery are completely different from any other attraction you will visit on this tour. There are lots of things you can see in the monastery that is why we leave from Shigatse earlier. After the Sakya Monastery, we will continue driving to Tingri and we will stop for the night before going up to Everest base camp. If you would like to see the sunshine over the mighty Himalayas and Everest in the morning you will have to start the journey earlier before the sunshine. I always recommend all the travelers to leave before the sunshine to see the beautiful sunshine over Everest and its sisters mountains. Once when we reach the Rongbuk monastery. We will take some time in our tent guest house and then we will go ahead to Everest Base Camp. We can’t take our car and we will have to either take the Eco-bus or walk up. Walking up is about four kilometers and could take about two hours. There is a small cave of Guru Padmasambhava. You can visit if you walk. We will be spent a night in EBC in the tent guest house. The tent could become smoky sometimes. If you think you have an attitude issue, we can return back to Tingri. Please be decisive and decide before everyone sleeps. Today you will have one more time to close with mighty Everest. Get up early and go there to see the beautiful sunshine over Everest. After the sunshine, we will go back to the car and drive back to Shigatse. we will drive back to Lhasa. Upon arrival in Lhasa, we will share the pictures and dinner at a local Tibetan restaurant. It’s a departure day for you, we will drop you off at the airport. Optional Optional 1) A day to Ganden monastery and Drakyerpa Ganden monastery is at about 50 km from Lhasa. and Drak yerba is at about 20 km from Lhasa on the same route. if you want to do the day to these two monasteries, we will do it on the fourth day before leaving Lhasa. 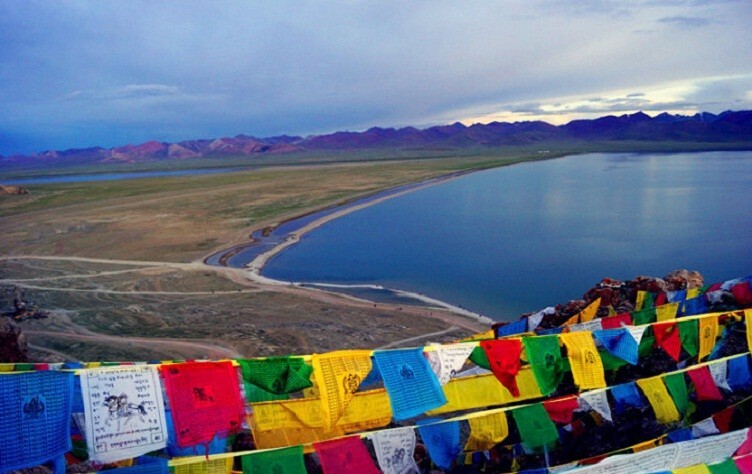 Optional 2) A tour to Namtso. Add one more day. On the way back from EBC. If you would like to visit the heavenly lake of Namtso we can take the route to Namtso from Shigatse instead of coming back to Lhasa. we will be spent a night there in Namtso. you will see a very beautiful sunrise over the lake in the morning. after the sunrise, we will drive back to Lhasa. on our way back we can go visit the Tsurphu monastery. Trips can always be extended. You can try out some of our other exciting packages like Bungy Jumping, Mountain Biking, Jungle Safari, White Water Rafting, Golfing & Paragliding etc. 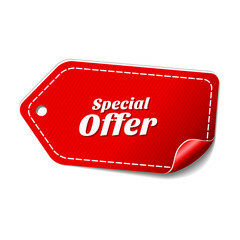 Please let us know about your desire for trip extension so that we can make the necessary arrangements.